Vaping has become an increasingly popular alternative to cigarettes, especially when it comes to teenagers and young people. Many people also use vaping to get over a tobacco addiction. Yet, there are some dangers of vaping that aren’t often considered. It’s easy to think that e-cigarettes are completely safe and harmless, but that’s not always true. It’s important to learn as many vaping facts as possible so you can have a better understanding of how vapor smoking devices can affect your health or even lead to other types of drug use. With that in mind, let’s take a look at ten common vaping myths and the truth that negates them. Is vaping better than smoking cigarettes? Many people think so, which is why they typically have no problem with vaping from the start—but this is a dangerous myth to believe. While there still hasn’t been enough research done on the long-term effects of vaping, it’s important to understand that it still contains certain carcinogens. Does vaping cause cancer? The jury is still out. It’s true that vapor devices don’t contain as many chemical ingredients as cigarettes, but they do contain some. People who vape often think they’re completely safe, so they’ll do it more often. The risk might be smaller, but it’s still there. This is a common misconception that tricks a lot of people into getting started with vaping. Vape juice is not just water vapor. Again, vaping water contains chemicals, toxins, flavorings, and nicotine. People who think they’re only inhaling water vapor need to know about the potential risks of these ingredients. Smoking is often linked to a variety of different diseases. Is vaping any better? Unfortunately, no. The ingredients in vape juice can cause a variety of different health conditions, thanks to the variety of chemicals used. One of the most serious conditions is called popcorn lung. The popcorn lung vaping myth may be a reality if you vape frequently. It’s due to a chemical in vaping water called diacetyl. Unfortunately, popcorn lung is very serious, and it can even be fatal. A study performed in 20151 found that 99% of e-cigarettes sold in the United States contained nicotine. Nicotine is an addictive substance, which makes it easy for people (especially teens) to easily become addicted to vaping every day. Some people think if they vape, they won’t be tempted to do other drugs or even smoke cigarettes. This isn’t true. In fact, the nicotine in vape juice can make the transition from vape pens to cigarettes a very easy one for most people, especially teenagers who become addicted quickly to the chemicals. E-cigarettes can be a stepping stone for using other drugs, but can they help you to quit smoking cigarettes? For some people, yes, but that doesn’t mean they’re necessarily a better option. While there are fewer chemicals and carcinogens in e-cigarettes, they aren’t risk-free. So, if you’re using vaping as a way to stop smoking cigarettes, it can help—but you have to be aware that e-cigarettes do have risks of their own, and they’re not totally safe. You shouldn’t replace one with the other without the ultimate goal of stopping completely. There are certain regulations in place for vape manufacturers. This is only a recent development, as there used to be almost no limits as to what vape manufacturers could do. However, there are no limits when it comes to how e-cigarette and vape liquid companies can market their products. Many vape liquid flavors are marketed to taste like candy or other flavors children and teens would enjoy. Because there aren’t as many regulations with vaping products as there are with cigarettes, they are all a little different. 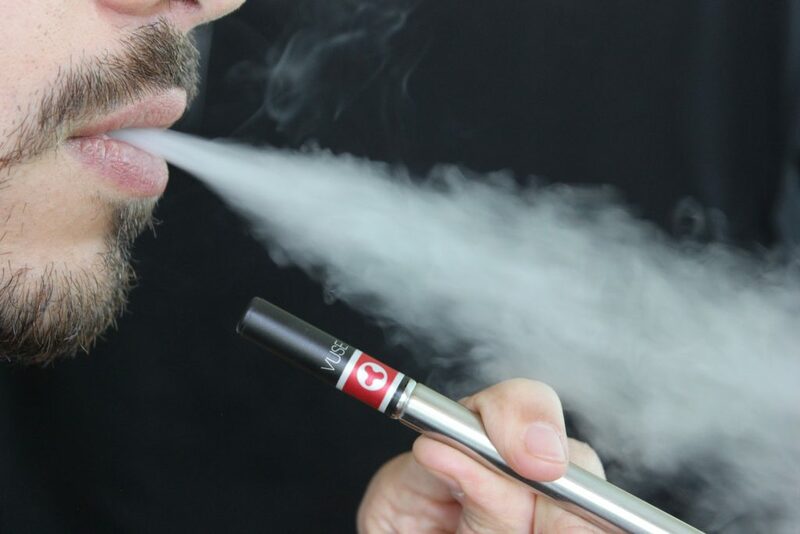 One vape liquid might contain more nicotine than another, for example. Without this regulation, you never know how much of a certain chemical is in a particular brand or “flavor” you’re using, which can be extremely dangerous. The fact that there doesn’t have to be consistency between these products makes it easy to keep consumers uninformed, so they can assume everything is safe. There is no evidence that aerosolizing the ingredients like nicotine and other chemicals in vape liquid is safe. However, more light is being brought to this subject, and health officials have growing concerns about the long-term effects of aerosolizing these ingredients. While more research needs to be done, it’s not safe to assume there are no lasting health effects. Many people start smoking cigarettes at a young age. As more teens are turning toward e-cigarettes instead of traditional cigarettes, there’s a common misconception that there are no risks involved. Obviously, after reading some of these facts, you now know better than that! Additionally, nicotine can have an even stronger negative effect on a young person. It can affect brain development and cause a teenager to become addicted far more easily than a grown adult. That can lead to a lifetime struggle with addiction and may even make it easier for that teen to try other stronger drugs. What Is The Truth About Vaping in 2019? It’s so important to understand the reality of vaping and get to the bottom of some of the most common myths. When you understand the truth about e-cigarettes, it becomes clearer just how addicting and harmful they can really be. If someone you know or you are struggling with an addiction to e-cigarettes, or you’ve started to explore other substances and drugs after vaping, please contact us at Yellowstone Recovery. Escaping the addictive effects of vaping is possible, and you don’t have to go through it alone!